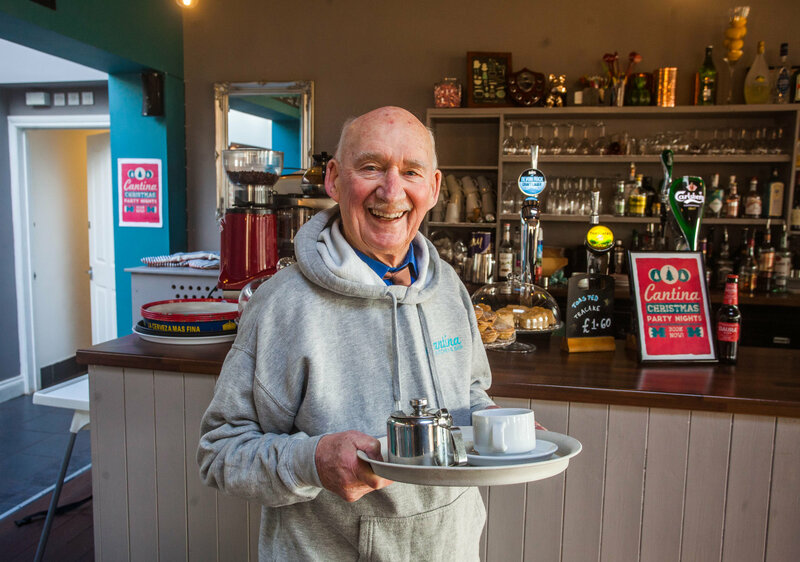 After posting an advert in his local newspaper asking for a job to "save me from dying of boredom", pensioner Joe has been inundated with job offers! When Joe Bartley's wife died last year, he knew that he would feel alone but he never expected how bored he'd be without the company of the one he loved. Instead of staying at home and wallowing in lonliness, ex-soldier Joe took matters into his own hands and placed an advert in the local paper asking for work to "Save [me] from dying of boredom!" Read more: This Little Angel's Bad Singing In The Nativity Will Have You In Hysterics! The advert read: "WORK WANTED. Senior citizen 89 seeks employment in Paignton area. 20hrs+ per week. Still able to clean, light gardening, DIY and anything. I have references. Old soldier, airborne forces. Save me from dying of boredom!" Since then, he has been inundated with job offers and has accepted a job in a posh cafe. 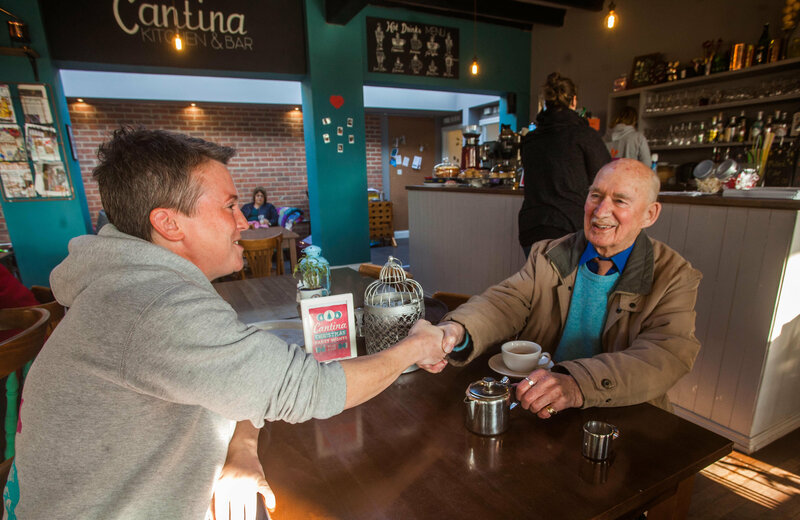 Joe Bartley, 89, was "over the moon" after smashing his first ever job interview to become a waiter at the Cantina Kitchen and Bar. The widower, who retired from his last job as a college cleaner six years ago, said: "I don’t think I’ve had a job interview before. I’m joyfully surprised at the outcome – I’m really glad I got it." Joe, who has no children and lives alone after his wife Cassie died last year, added: "I’ve spoken to a lot of people here already. "They all seem really nice and one lady gave me a kiss. You don’t see anybody where I am, in a flat, so I’m looking forward to getting involved and meeting people." The pensioner, who served as a wireless operator with the 6th Airborne Divisional Signals in Palestine after the war, will be waiting, cleaning and preparing veg in his new job - and he's even keen for some overtime! Good luck in the new job Joe! We can definitely learn a thing or two from your work ethic.